Sulley Amin, a young Ghanaian man, decided four years ago to make coal from coconut waste. The activity has helped tackle deforestation and employs around 100 youths. For Sulley Amin, between the law degree he holds and Zaacoal, the company he founded a few years ago, there is a real gap. Yet the young Ghanaian believed in his dream. While his mother saw his future darken, he found his happiness in coconut husks. He chose to name his activity Zaacoal, which means hot coal. Sulley believes this initiative has allowed him to preserve the environment, because in his city, coconut shells were the second source of environmental pollution after plastic waste. “I am a curious person; I have read things that have nothing to do with my training. I think it was by expanding my curiosity that I was led to think that I might one day obtain charcoal from coconut”. The young man didn’t just dream but he took action. Without a profound chemical knowledge, he eventually discovered that by burning coconut waste with limited oxygen, he would get clean, durable, smoke-free charcoal. The final product, biodegradable charcoal is carefully packed in a paper bag. Carbon is available in three forms: Zaacoal Original, Zaacoal Quick Light and Zaacoal Shishia. Prices vary between 1 and 6 euros. “We compress it so that it lasts much longer than charcoal. But above all, the smoke our mothers inhale when cooking with normal charcoal and firewood kills more people than HIV/AIDS, malaria, cancer, tuberculosis, all combined. 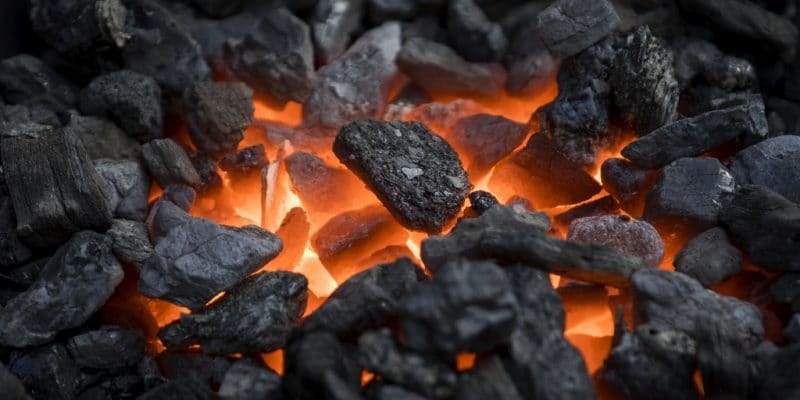 So we make sure that our coal does not produce any smoke,” explains the young company manager. Four years after its creation, the small enterprise has already employed 11 people and 100 young people to commercialise the coal. The team also estimates that nearly a thousand trees have been preserved thanks to Zaacoal.